Your struggle with food and your body is really your path to wholeness and joy in diguise. In this episode of IMperfectly Healthy, Faith interviews her good friend and functional diagnostic nutrition practitioner Kimball Willson. 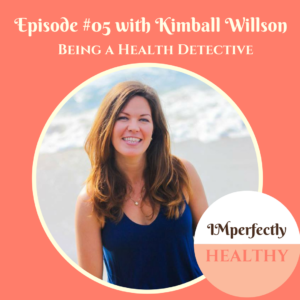 Kimball shares her own journey in finding the root causes of her own health challenges, that led to her passion for helping others achieve vibrant health. FREE 30-minute Empowered Healing Session to get started on the path to a healthier and happier you!